International Journal of Research in Health Sciences,2014,2,3,875-878. 1-Assistant Professor, 2-Professor & HOD, 3-Vice Principal (Acad- PG), Department of Community Medicine, S.V.Medical College, Tirupati, A.P., INDIA. Almost all community- based studies focus on socio-economic stratification, which is the key parameter for proper understanding the affordability of the community of health services, amenities and their purchasing capacity. 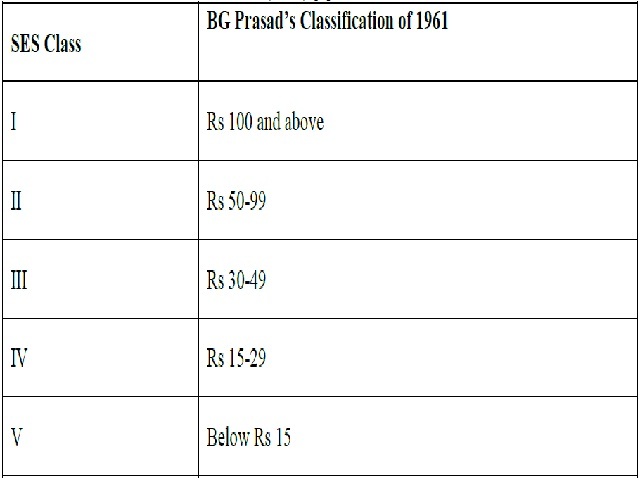 Prasad’s socioeconomic status scale measures socioeconomic status of both rural and urban community based on per capita monthly income of the family.